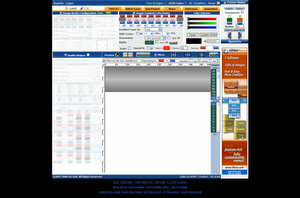 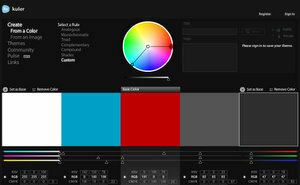 Adobe Kuler is a web-hosted application for generating color themes that can inspire any project. 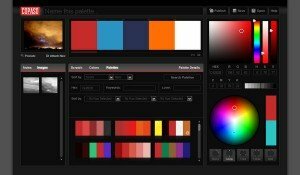 No matter what you’re creating, with Kuler you can experiment quickly with color variations and browse thousands of themes from the Kuler community. 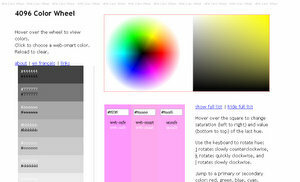 4096 color wheel is an easy tool, just hover over the wheel to view colors and select . 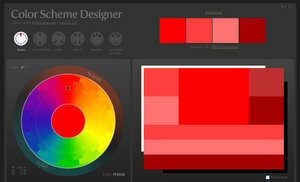 A tool for dynamically creating gradient images to use for backgrounds. 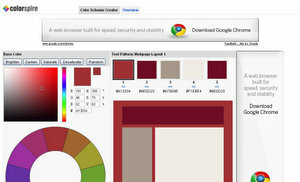 uses a REST webservice, .net and GDI+. 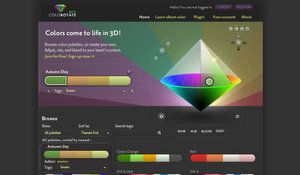 Beloved plaything of graphic artists, CSS lovers, web dabblers and more. 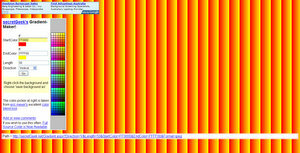 Online Gradient Image Maker + Stripes maker – build 3D gradient background images with stripes for site decoration and visual effects.